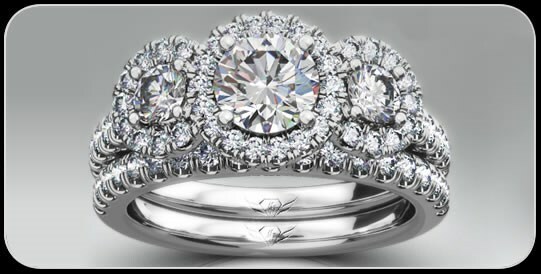 Albert F. Rhodes has a wide, beautiful selection of bridal jewelry to choose from. Our selections range from 14K to 18K and are as unique as each bride! Modern, unique designs have been selected specifically for our bridal jewelry variety. We assemble emerald, ruby, sapphire, tanzanite, and many other precious colored stones with fine diamonds in a myriad of alluring styles.